It is said that the apple doesn’t fall far from the tree, and in the case of Agustin Huneeus Sr. and Agustin Francisco Huneeus, it is oh so true. Born in Santiago, Chile, Agustin Huneeus Sr. began his career in 1960 as a 23 year old CEO of a then insignificant winery named Concha y Toro. Within 10 years, it was a global brand. Unfortunately, Augusto Pinochet had plans for Chile, and the Huneeus family left the winery in government hands and headed for Argentina. The global behemoth Seagrams followed, then California’s Franciscan Estates. In 1999 he sold his interests and developed an icon, the quintessential Napa Valley estate – Quintessa, with his wife Dr. Valeria Huneeus. In 1989 his son Agustin Francisco Huneeus entered the wine business by returning to Chile where he was instrumental in developing and managing Caliterra and Errazuriz. After two very successful years, he returned to California to become GM of Estancia Estates, then, on to Franciscan Estates. After Franciscan was sold to Constellation in 1999, he stayed on in the role of President and CEO and developed the company’s fine wine division. Then, in 2004, he struck out on his own to establish Huneeus Vintners. Today, he is the driving force behind the company comprised of Quintessa, Faust, Leviathan, Flowers and Benton-Lane. The family’s acclaimed properties exist thanks to Agustin Francisco’s ability to elevate and refine what others overlook. The ability is so innate that each winery he touches is a perfectly natural, modern extension of place. We’ve hosted Agustin Francisco in Toronto, and his intense insight and curiosity is apparent. His preference has always been for properties with autonomy, integrity, and character. Today, Agustin Sr. keeps a low profile for an influential wine veteran. Agustin Francisco brings a similarly thoughtful, understated quality to his role as head of the family’s enterprises. Each estate speaks to a chapter in this remarkable family’s history. Any questions? Feel free to call me. I’m always happy to “talk wine”: 647 955 8872 or c.mclean@rogcowines.com. I hope to hear from you. Agustin Sr. used the sale of his interests in Seagrams to establish the quintessential Napa Valley estate in the heart of Rutherford, with his wife, esteemed viticulturalist Dr. Valeria Huneeus. Quintessa is a masterpiece property of 280 acres in the heart of Rutherford. Almost 200 acres of pristine organic vineyards cover the hills and valleys. 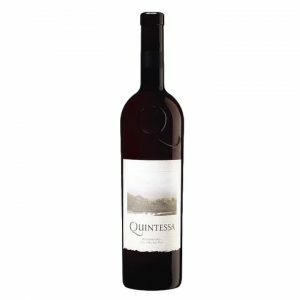 In 2015, Quintessa is largely comprised of Cabernet Sauvignon complemented by Merlot, Cabernet Franc, Petit Verdot, and Carmenere. It spent 21 months in French oak (75% new). Click here for our Quintessa webpage. 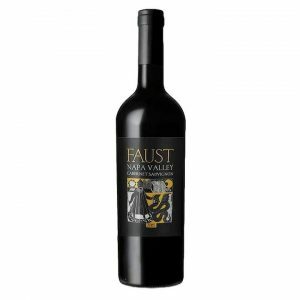 Faust is one of Napa’s most exciting Cabernets, not to mention one of its best values. Crafted at the state-of-the-art Quintessa winery in Rutherford since 2002, Faust stands alone as a singular wine that unapologetically blends Cabernet from Napa Valley’s diverse vineyards in the name of complexity. 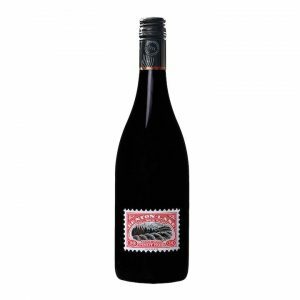 The name honours the legend of Dr. Faustus, a medieval German scholar who offered his soul to the Devil in exchange for youth and passion – a tongue-in-cheek reference for a family extremely familiar with the wine business. Fruit from the Huneeus family’s vineyards in Rutherford and Coombsville (in the eastern foothills of Atlas Peak) forms the backbone of Faust Cabernet Sauvignon. The family has introduced small lots from select growers in Yountville, Mount Veeder, Atlas Peak, St. Helena, and Rutherford too. The 2015 Faust is a benchmark Napa Cabernet. Silky and bold with lifted fruit, the wine matures in French oak barrels (30% new) for 19 months before release. Click here for our Faust webpage. Perched on soaring coastal ridges two miles from the Pacific, Flowers Winery’s estate vineyards were some of the first planted on the true Sonoma Coast in 1991. The extremes of Sonoma are amplified on the coast: brilliant sun, saline maritime winds you can taste, cool nights. It’s a wild place. Coastal fruit ripens slowly, imbued with bright flavour, vivacity, and energy. Huneeus formed a longterm partnership with the acclaimed winery in 2009. 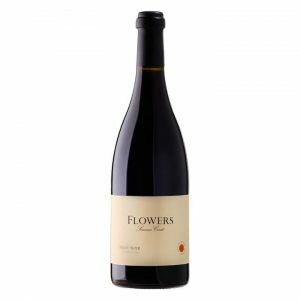 It gave founders Walt and Joan Flowers relief from the draining day-to-day work of winery operation, and Huneeus’ marketing savvy introduced their brilliant wines to new markets. 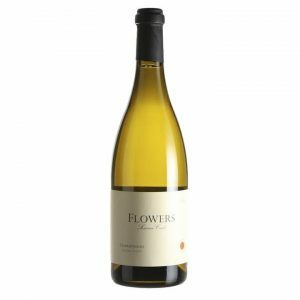 Burgundian in style, Flowers’ textural Chardonnays are enhanced by lees ageing and stirring, while the Pinots are punched down by hand. Both are aged in French oak barrels of varying ages. These are elegant, delicious wines made with a deft hand. Click here for more Flowers information. Agustin Francisco acquired cult Napa label “The Prisoner” in 2010, increased its worth seven times, and then sold it again in 2016. 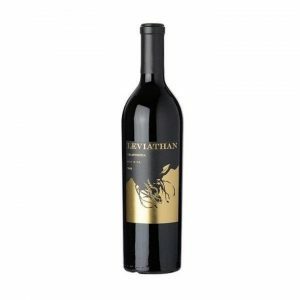 He went on the hunt for another iconic blend, and found it in Andy Erickson and Annie Favia’s “Leviathan”. Andy and Annie’s names are synonymous with hyper-collectable California wines: Andy has tenured as winemaker for Screaming Eagle, Dalla Valle, Mayacamas, and Ovid; Annie was viticulturist with Konsgaard, Corison, and Abreu. Annie and Andy are the force behind Favia, too. When Annie and Andy make moves, it’s worth paying attention: In 2004, they launched Leviathan, a singular wine that captures the vibrant patchwork of California’s amazing vineyards. Picked up by Huneeus in 2018, it’s exciting to see such skill in display. Each vintage is different, though the composition leans heavily on Cabernet Sauvignon. Click here for more Leviathan information. The Huneeus family has always sought out family-run wineries with integrity and a sense of place. The Huneeus influence offers guidance and support, rather than heavy-handed corporate control. It can be a thoughtful succession strategy or partnership opportunity for wineries looking for the next chapter. Lifelong winemakers Steve and Carol Girard produced their first vintage of Willamette Valley Pinot Noir in 1992. They were one of the first wineries in the Willamette, and lucky family and friends consumed the majority of their earliest vintages. Today, Benton-Lane wines have received more Top 100 Wines of the Year awards than any other still wine producer in Oregon. Long-time friends of the Huneeus family, the Girards sold Benton-Lane to Agustin Francisco in January 2018. Their signature practices are intact: biodynamic vineyard practices, animals grazing the vineyards, holistic winemaking. No chemicals are used. For more Benton-Lane knowledge, click here.